The parent company of American Airlines, AMR Corp., announced today that it has filed for chapter 11 bankruptcy. 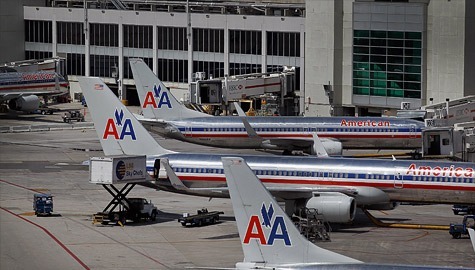 AMR said American Airlines, American Eagle and all other subsidiaries will honor all tickets and reservations and operate normal flight schedules during the bankruptcy filing process, using its $4.1 billion in cash. The airline also announced that Gerard Arpey, its chairman and CEO, is retiring. He is being succeeded by Thomas Horton, who was named president of the company in July 2010. Horton has insisted that American customers should see "business as usual" in spite of the bankruptcy. But he said that the cost disadvantage for American compared to other major U.S. carriers that have already gone though bankruptcies of their own since the Sept. 11, 2001 attacks left it no choice. American has been widely seen as the weakest of the major airlines for some time now. It has reported a profit in only one quarter since 2007, and it lost $4.8 billion over those 3-1/2 years. Analysts surveyed by Thomson Reuters expect its losses to continue through at least 2012.